Your generosity will provide immediate relief to survivors: food, shelter, water, and medicine. It will also support longer-term assistance to help survivors recover from the consequences of this disaster. The 7.1-magnitude earthquake, which struck Mexico on September 19, was the deadliest to hit the nation in more than three decades. The seismic event has resulted in over 300+ deaths, hundreds of collapsed buildings and scores of people missing. Multiple tremors have followed since, with many trapped on the same street as where our office used to be. Thousands have lost everything. The rescue effort has been powered by the support of volunteers from the International Association for Human Values (IAHV) in partnership with Art of Living Foundation (AOLF) showing up spontaneously to offer help in every way that they can. Our teams are conducting trauma relief sessions with the affected and with the emergency response teams. Volunteers are joining forces to move boulders and rocks to help rescue those still trapped under the rubble. Volunteers are also offering water and food for the rescue forces. Outside the Mexico city at least 200 cities across 5 different states are in the same situation. A team of volunteers are going to Oaxaca, one of the places, impacted by the first earthquake. 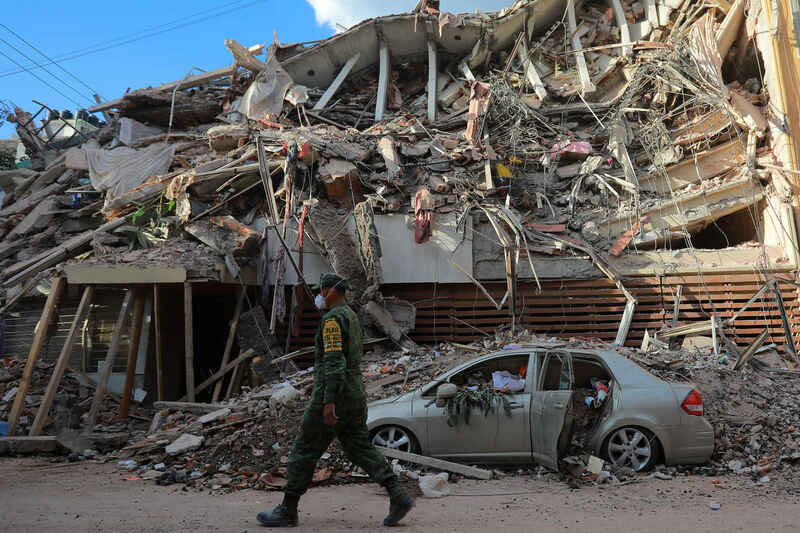 The second team will go to Puebla, a state with 114 cities struck by the seismic jolt. Currently, the resources of IAHV and AOL Mexico are severely stretched. Your generosity will provide immediate relief to survivors: food, shelter, water, and medicine. It will also support longer-term assistance to help survivors recover from the consequences of this disaster. Your giving will go a long way to bring hope to many. People are counting on you. Mexico is counting on you. All contributions are fully tax-deductible. Please donate generously. To support volunteers teaching BWS courses. In memory of good friend Nitish who would have opened his heart and purse out for a good cause ... Rest in peace my friend.